New figures reveal the demand from British people wanting to build their own home with over 33,000 having signed up to Right to Build registers across the country to secure a plot of land. The numbers have increased by over 80% compared to this time last year when 18,000 people had signed up in the first year of the registers, according to research by the National Custom and Self Build Association (NaCSBA). This means that local authorities must give permission for enough serviced building plots to meet this growing demand, under the responsibilities placed on them by the Right to Build legislation. They have until 31 October 2020 to consent 33,000 serviced plots, with around half of these to be consented by the end of October 2019. During the second year since the Right To Build registers came into force, nearly 18,000 additional people signed up, many via NaCSBA’s Right to Build Portal. However of these and the initial 18,000 people, around 3,000 people were removed from the registers by local authorities. Reasons include people having found plots and councils applying local connection tests or introducing a fee to join or stay on the registers. NaCSBA supports the fact that the majority of councils are taking the management of their registers so seriously, as they provide one of two important sources of demand and need to be reliable. It is also keenly monitoring whether any local authorities are using unreasonable or unjustified local connection criteria or charges as a means of reducing their obligation to consent. The role the registers will play, once they are marketed consistently, is in helping councils assess demand of people that want a serviced plot now. Councils are also under a duty under planning policy to consider, for example via surveys, how many people would like to design and build their own home in their borough over a longer timeframe, to tie in with their longer term planning functions. Building Societies Association (BSA) research found that 53% of people have the ambition to design and build their own home at some point in their lives. In time as people’s awareness of Custom and Self Build grows, the number on the registers should more closely reflect the BSA research. Consequently, NaCSBA is planning a national consumer campaign in 2018 to increase awareness of the Right to Build registers and make people aware of their rights under the legislation. According to Richard Bacon, chair of the All Party Parliamentary Group on Self-Build, Custom and Community Housebuilding and Placemaking and ambassador of the taskforce, true demand is much higher. ‘The evidence does not follow through that there are several hundred people on a register in one council area, while a neighbouring one only has double figures. Clearly, more needs to be done to promote the registers and really make them work as an evidence tool in local planning, as we know that half of the adult population wants to design and build their dream home at some point in their lives,’ he said. Michael Holmes, chair of NaCSBA, pointed out that despite the increase in numbers registering the promotion undertaken by councils varies hugely. 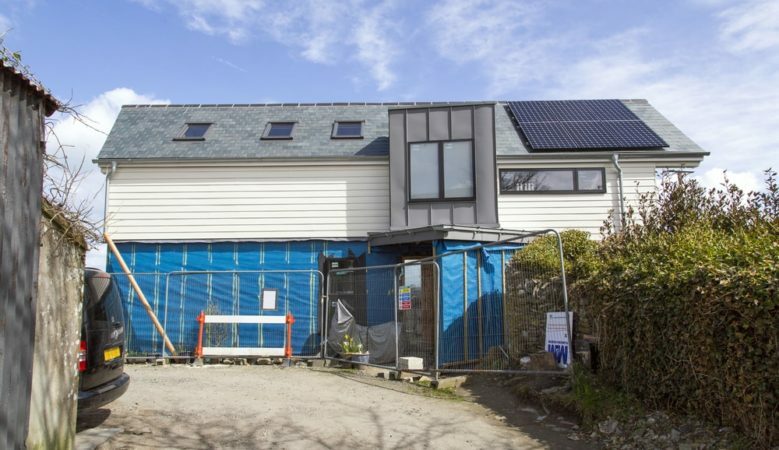 ‘Those that are proactive are reaping the many benefits custom and self-build housing can bring to diversify and grow their local housing supply,’ he said. The Right to Build Task Force, launched by the NaCSBA in 2017, is available to help councils promote their registers and allocate sites, as well as working with community groups, developers and land owners.